Whether you are digging, hauling or leveling off the earth, your Dresser Motor Scraper needs to have quality tires. Your Dresser Motor Scraper runs on massive tires and it is important to keep these tires operating at a peak level of performance. The better your tread, the more earth you can move. If you are looking for tires on your Dresser Motor Scraper, Monster Tires is the company of choice. The Monster Tires team can get you a new set of Dresser 412 – 412B Motor Scraper Tires today. Whether you are looking for a set of Front or Rear Dresser Motor Scraper Tires, we have you covered. When it comes to finding Construction Tread Tires for Dresser Motor 412 Motor Scraper, Monster Tires has what you are looking for! Our Tire Package for Dresser Motor Scraper has the Heavy Equipment Tires you need to get your piece of equipment rolling again. Whether you need a Set of four tires for Dresser Motor Scraper, a Rear Tire Set for Dresser Motor Scraper, or a Front Tire Set for Dresser Motor Scraper, we have what you need to keep your worksite and your workers safe here at Monster Tires! Dependability and Reliability with Monster Tires: Our Construction Tread Tires for Dresser Motor Scraper are dependable and reliable. Your heavy equipment is only as good as the tires that hold it still and make it go, and our tires are the best! We have top quality Off the Road Tires for Dresser Motor Scraper to ensure that you have the best possible performance on your equipment. 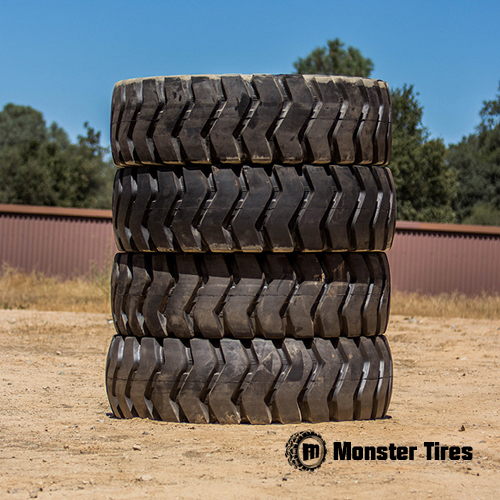 Trust in Monster Tires for your next set of Dresser Motor Scraper Tires, and experience for yourself our High-Quality OTR Tires for construction companies and home owners.